There is no question that a Camaro Zl1 is destined for some boulevard battles. This car was designed to dominate the streets. However, if you want to use this car as designed, you need to take steps to protect it from getting bruised in battle. That is where Jay’s Vehicle Protection Package comes in. This package prepares your vehicle for life on the road in a way that preserves and maintains the new car look even after it has engaged in a few street fights. This particular Camaro Zl1’s Vehicle Protection Package consisted of a full paint correction, a complete SunTek Ultra Paint Protection Film installation and then we finished it off with a CQuartz Professional preservation coating on exterior painted surfaces. However, before we even get started, we give the car a full decontamination wash. This removes anything from the surface of the paint and goes us a fresh surface to begin working with. Next, we inspect the paint under special lighting that illuminates any flaws that need to be corrected. Even things you may not see in the sun, we can easily detect using our lighting. As you can see, this car had a lot of small scratching and hazing that needed corrected. This is the after photo of the same area. The scratching and haziness are removed and the vehicle is ready for the next step. Again, a nice before shot that shows the surface flaws we are correcting in this stage. The after photo showing a fully corrected surface. Once the paint is fully corrected, we can move on to the installation of the SunTek Ultra Paint Protection Film. This film protects the leading edges of your vehicle from damage caused by rocks, gravel, salt or insects. 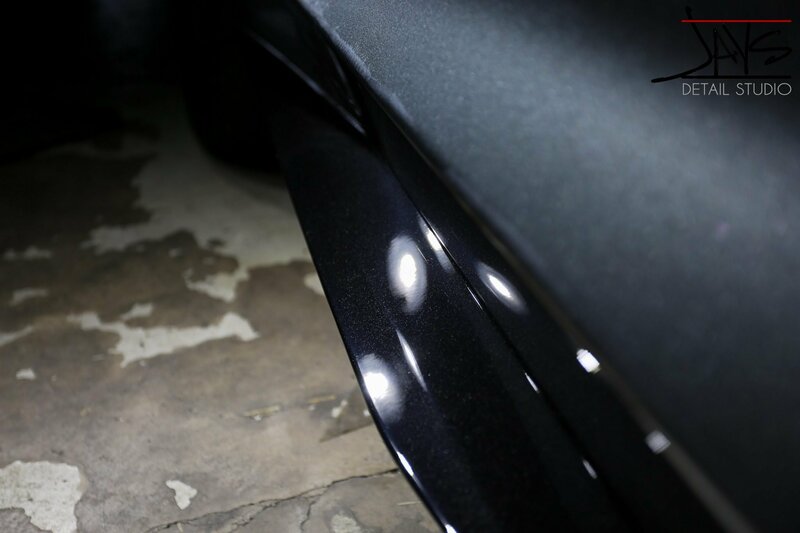 SunTek Ultra PPF is designed to protect your paint even in the harshest environments while maintaining that high gloss shine that you require. Once the paint protection film is installed and cured, we move onto the the final step. The application of CQuartz Professional Ceramic Coating. This advanced nanotechnology provides an extremely durable, high gloss coating, providing enhancement and years of protection for your car. After application, it is fully cured by spending time under some iR lamps as seen below. Once the curing on the Cquartz Professional is done, the vehicle is complete and ready for final inspection before hitting the streets. As you can see in these pictures that follow, the end result on this Camaro ZL1 was absolutely stunning. The grey paint really popped in the sun and now the car was full protected for those street fights coming in the future. So, whether you have a car destined for boulevard battles like this Camaro ZL1 or you just want to preserve and protect your daily transportation, check out Jay’s Vehicle Protection Package. When you want the very best value for your money, you can reach Jay’s Detail Studio the following ways. Call 210-863-1633 or email us at jaysdetail@gmail.com for your car detailing, paint protection, paint coating and window tinting needs.